HOPE FOR THE FUTURE offers people in prostitution as well as those in Human Trafficking active possibilities for a new beginning. 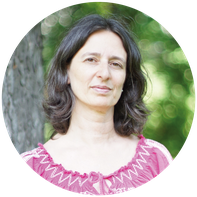 At the moment, we turn primarily to people in Austria, who work or have worked in prostitution and who aspire for a change in their living situation. 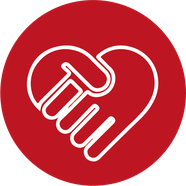 In a broader sense, we also support the affected in human trafficking, who are in a life situation of dependence due to their job and life situation, i.e. those who find themselves in some form of exploitation or forced work, but would like to change their situation. 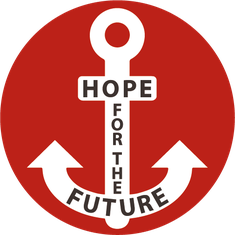 HOPE FOR THE FUTURE is a charitable non-governmental organization, whose work is not aimed at a financial profit. The issues of Human Trafficking and Forced Prostitution have weighed on my heart for many years. Especially ever since I watched the documentary movie Nefarious regarding those issues, the urge to do something became increasingly greater. The question was only: How can I most effectively help and what makes real sense and what would help the concerned people long-term? For many years I have been in contact with the leader of Herzwerk, an association that specializes in Streetwork in the red light environment. During those years, we exchanged ideas and now for some time, I contribute on a voluntary basis to the Herzwerk to be in touch with the women out there. 1. Where will I live? – 2. From what will I live? After numerous conversations, it has become evident to me that there is a specific field, in which there is actually very little done for this group of persons in Austria, and it is precisely in this specific field that I want to be set up in: in the field of integration in the job market. Even when one offers the concerned individuals to possibility to get out, they are mostly very traumatized through the experiences, they have little knowledge of the local language, and they must first become integrated slowly and step-by-step into the normal everyday life. In this task of integration, I want to provide HOPE FOR THE FUTURE as a vehicle of support.